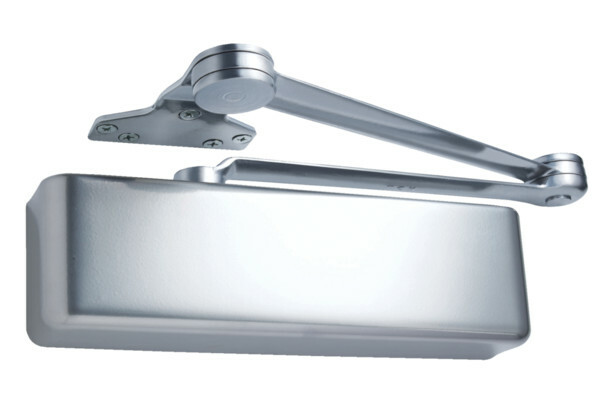 The LCN 4040 door closer is LCN's most flexible heavy duty door closer designed for high traffic and rugged use applications like institutions and commercial buildings. This LCN closer is shipped with the Cush-N-Stop Closer arm and standard plastic cover. The Cush-N-Stop Closer has consistent speed until the very last bit before closing, where the doors slows down and closes gently into place. - Non-Handed makes ordering simple. - LCN patented greend ial allows for fast and easy adjustments. - Included templates make installation a breezeand accurate with peel and stick templates. Adjustable for interior doors to 5' and exterior doors up to 4' with its non-sized adjustable cylinder. - Closer mounts on the hinge side, top jamb and parallel arm with PA shoe on either right or left swinging doors. 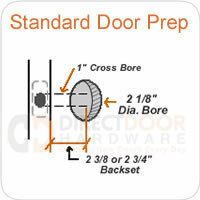 - UL and cUL listed for self closing doors without hold open device.